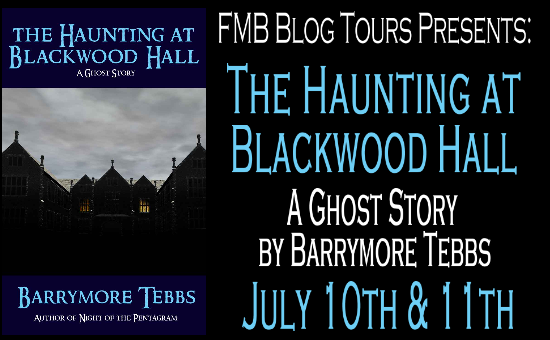 Paranormal Romance and More: Author Interview with Barrymore Tebbs, author of The Haunting at Blackwood Hall! 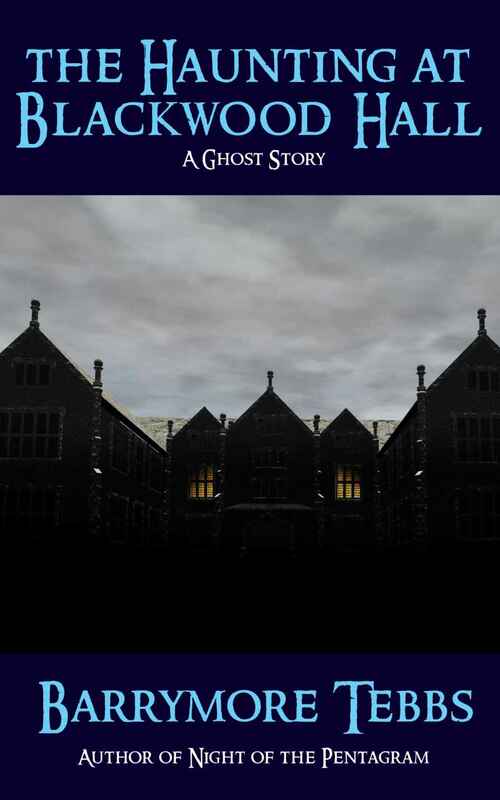 Author Interview with Barrymore Tebbs, author of The Haunting at Blackwood Hall! Holly: Hi Barrymore! Would you tell us a little bit about yourself? Barrymore Tebbs: My name is Barrymore Tebbs. I’m a fifty-something rock and roll refugee. I’m an avid photographer on the local indie rock music scene in Cincinnati, as well as a PhotoShop artist which has come in handy designing the covers of my books. I’ve written off and on for many years, but only with recent advances in self publishing have I begun to put my stories into print. Holly: Can you tell us a little bit about The Haunting at Blackwood Hall? Barrymore Tebbs: The Haunting at Blackwood Hall was inspired by my interest in the Spiritualist movement of the 19th Century. Some of the mediums were quite theatrical in their performances, like Madame Lovely at the beginning of my book. But also, the drawing room séance was a place for women’s voices to be heard in an era when they were otherwise not encouraged to speak out publicly. Holly: Where can we purchase it? Barrymore Tebbs: It’s available in eBook form at Amazon and at Barnes and Nobel.com. Barrymore Tebbs: If you strip the Gothic elements and atmosphere out of my stories, what you have are psychological thrillers. I can see myself writing a more mainstream thriller in the future. Also, I’ve tinkered with the style of the hard-boiled, noir mysteries of the 40s and 50s and will probably write something in that vein at some point. Barrymore Tebbs: In writing The Haunting at Blackwood Hall I tried to recreate the style of the Gothic Romances of the 1960s and 70s. The works of Victoria Holt were a direct inspiration, particularly her novel Kirkland Revels. I paid homage to various Gothic Romance writers throughout the book as well. Barrymore Tebbs: I actually set out to write a prequel but it turned very quickly into the novella Black Valentines, although it bears no relation to The Haunting at Blackwood Hall. The prequel could still happen, because there are events referenced which happen ten years prior to the time of the story which could easily be fleshed out into their own book. Barrymore Tebbs: Gothic has been in remission for a number of years. In mainstream publishing it naturally evolved into paranormal fiction. Through Indie Publishing there is a small but growing revival. There are a number of writers diligently writing Gothic Romance. Most of my books lean more toward Gothic Horror, but with The Haunting at Blackwood Hall I wanted to throw my hat into the Gothic Romance ring. As a man firmly rooted in the 21st Century, it was a challenge to write in the first person voice of a female living well over a century ago. 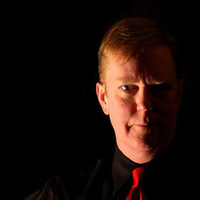 Barrymore Tebbs: If you like old Gothic movies and TV shows, stories with spooky settings, old dark houses, stormy nights, ghosts, witchcraft, Tarot cards and Ouija boards, you ought to feel right at home inside the virtual pages of one of my books. Barrymore Tebbs: My favorite part of writing isn’t the writing, it’s the point when I have created a story and know it so intimately that I can verbally tell it to a friend in about fifteen minutes and watch their facial reactions. That’s when I know I am on the right track. Barrymore Tebbs: Shutter Island. A perfect example of Psychological Gothic. Barrymore Tebbs: Dogs! I have a three-year-old Boston Terrier named Buster. Barrymore Tebbs: Dark Shadows (original), True Blood, and Mad Men. Thanks for a terrific interview, Holly!